Snuggled among the mountains of western ghats Wayanad is one of the most beautiful hill station in Kerala. We at Bangalore Tourism bring you the best guide on how to and where to hire the best car rental services to Wayanad from Bangalore without any hassles. Wayanad, the green paradise of Kerala located at a distance of 285 km from Bangalore and about 76 km from the nearest seashore of kozhikode is a perfect combination of beauty and simplicity. We are delighted to offer the best and exclusive deals to the travellers from various car rental service providers from Bangalore. Hope this list may help you to make it a little easy, and help you from the trouble of finding the best car rental providers from Bangalore to Wayanad at the best price. Wayanad is the home to mysterious mountains, hills,spices, ancient ruins, aboriginal tribes, tree houses, exotic wildlife and many more. Some oldest tribes untouched by civilization are hidden inside the pristine valleys of Wayanad. There are many popular attractions in Wayanad that you can plan to visit by booking the best car rental company in Bangalore. We have shortlisted the best cab vendors who offer low cost price to Wayanad from Bangalore. Most of the below cab vendors offer vehicles like Tata Indica, Swift Dzire, Toyota Innova, Tempo Traveller, etc.. to explore this place with comfort and luxury. We help you find the most comfortable cabs and also at the best prices whenever you hire a cab with the below car rental service providers. Let us take you through the list of the Best Car Rental Services in Bangalore, when you are traveling towards Wayanad. Treat your eyes to the greenery and hilly ranges of Wayanad by booking a car rental from Bangalore to Wayand from CarzRentals.com starting from ₹ 8199 for 2 Days All-inclusive. 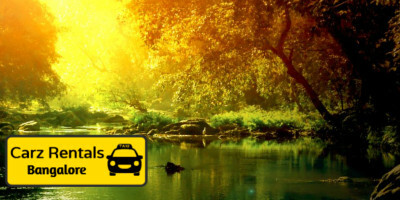 Booking a Pep Cab to Wayanad from Bangalore is not only convenient but affordable as well. In order to get the most out of your trip, hire a Pep Cab and explore Wayanad from ₹ 8200 for 2 Days All-inclusive. 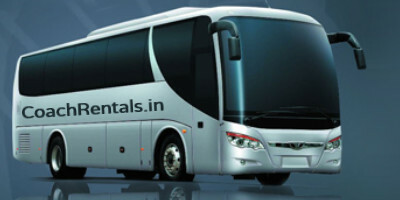 Hire a Bus or Minibus from Bangalore to Wayanad! Coach Rentals can be the perfect traveling companion of tourists traveling in groups, include school and college trips!. In Order to have a wonderful trip, you also need keep yourself updated on the most popular places to visit in Wayanad. So our experienced travellers also have listed those for you. Please check the same below; just after the list of top car rental service providers in Bangalore. There are so many historically important places in Wayanad that you can plan to visit. Some of the must see places in Wayanad include Pookode lake, Banasura Sagar Dam, Pazhassi Park, Sunrise Valley, kanthanpara Falls, Phantom Rock, Karapuzha Dam, Pakshipathalam etc. Locate at a height of about 2100 meters above the sea level Chembra is the highest peak in Wayanad district. The peak offers you the fabulous scenic beauty of Wayanad. Camping on the peak will be an unforgettable experience. The fascinating neolithic cave site of Edakkal is situated on the beautiful Ambukuthi hill near Ambalavayal. Etchings found on the walls of these caves have drawn the serious attention of archaeologists and historians worldwide. It is assumed that the Edakkal caves had been inhabited at various stages in history. Morning hours are the best time to visit these caves. Nestled amidst mountains and forests, the ancient riverside temple of Thirunelli is a fine specimen of classical Kerala temple architecture. The idol is in the form of Chathurbhuja. Thirunelli temple is often referred to as Dakshina Kashi. The temple draws pilgrims from all over, primarily for ancestral rites. Just in case if you are looking for All-inclusive tour packages with hotel, cab, meal plan and sightseeing, check out Bangalore to Wayanad all-inclusive holiday packages. Coming back to our list of best places to visit in Wayanad, the next sightseeing place is Papanasini, Thirunelli, a clear mountain spring situated at a short walkable distance from Thirunelli temple. As a ritual, a dip here is believed to wash one away of all worldly sins. Sulthan Bathery Jain Temple, Believed to have been built in the thirteenth century is one of the most important amongst a series of Jain ruins spread across the state of Kerala. The best way to visit the jain temple is by hiring a car from Pep Cabs. Established in 1973 Wayanad Wildlife Sanctuary is rich in biodiversity, the sanctuary is an integral part of the Nilgiri Biosphere Reserve, which has been established with the specific objective of conserving the biological heritage of the region. The vegetation is predominantly moist deciduous forest with small stretches of swamps, teak forests, bamboo and tall grass. Amidst such fertile and varied flora, this region is home of several rare herbs and medicinal plants. Jungle Cats, Panthers, Civet Cat, Monkeys, Wild dogs, Deers, Spotted Bears, Bisons, Gaurs, Cheetah, Wild Bears, Peacock, Owls, Jungle fowls, Woodpeckers, Babblers, Cuckoo's etc is seen here. With numerous watering holes, Muthanga has a large population of pachyderms and has been declared a Project Elephant site. A small population of tigers is also seen here. Few travellers instead of traveling all the way from Bangalore to Wayanad via cab, they prefer to directly go to Wayanad by bus or air and then opt for a tour package starting right from Wayanad. Kerala Tourism from Holidays DNA offers customized Wayanad tour packages. Holidays DNA also offer all inclusive tour packages to Wayanad from Bangalore, Mysore, Coorg, etc..
Back to the list of best places, Kuruva island spread across an area of 950 acres of evergreen forests is on the banks of river Kabini. The island is home to various rare species of birds, herbs and orchids. We have partnered with more than 12 cab vendors in Wayanad and provide you with the best vehicles for comfort at a lowest cost. Besides all above there are so many other scenic spots. Each and every place in Wayanad is beautiful. Up.tours is portal dedicated to one day tour packages and it has huge list of handpicked one day tour packages for Wayanad. Choose your Bangalore car rental service provider from the list and book a car on rent to explore Wayanad from Bangalore at the most affordable rates in the market.